Dull tweezers are the bane of my existence. Seriously. Like, when tweezers go from the precision of a surgical knife, to the precision of a pair of chopsticks, it’s time to replace them. But why replace them when you can send them off to be sharpened? Yep. You heard me right. 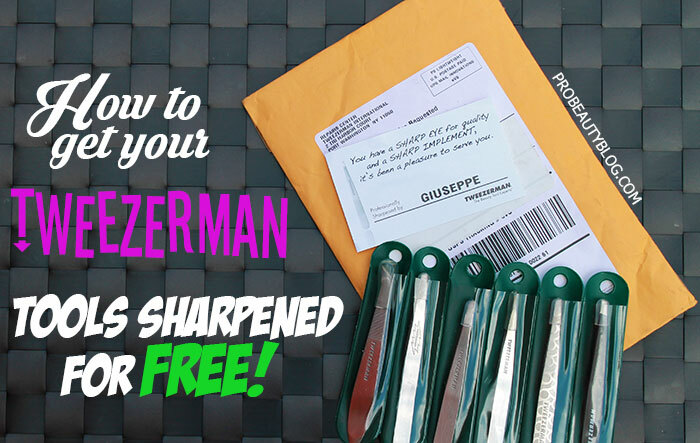 I have been a loyal customer of Tweezerman over the years – so loyal, I continued to buy new tweezers and nippers every time one went dull. I don’t know how I went this whole time without realizing that I could send my tweezers, nippers, and scissors to be sharpened for free! No more dropping $20 for a pair of tweezers. Use those babies until they can’t be used any more! Read on to find out how.